pet lover I am a pet lover and we have 10 dogs at home so I am very comfortable dealing with dogs.pet lover I am a pet lover and we have 10 dogs at home so I am very comfortable dealing with dogs.pet lover I am a pet lover and we have 10 dogs at home so I am very comfortable dealing with dogs. 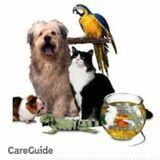 PetSitter.com will help you find a great kennel, pet boarding or dog daycare in Mississauga. Whether you’ll be gone for a weekend, a week, a month, or longer-term, you’re sure to find the best cat or dog boarding around with PetSitter.com!